Good post thanks for clarifying. Discovered this a while ago this post would have saved some time as the MSFT docs aren’t totally clear. I do not quite agree between Split Tunnel mode and Tunnel strength used in Always On. Contrary to what one might think, Tunnel Force mode only routes internet traffic into the tunnel and not all traffic. Split tunnel mode allows the Internet stream to pass through the home network router. In tunnel force mode, access to a local file server on its network is quite possible. Then I followed your Split Tunneling procedure with the Disabledclassroute directive to true and the declaration of all routes according to RFC 1918. I still can access my local resources on the home network. I think you really have to make the point between Tunnel Force and Split Tunnel mode. these two modes only manage Internet traffic. That is expected and by design. 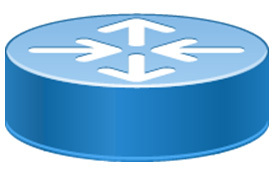 Local networks will have a higher priority in the VPN client’s routing table. If you want to prevent the client from accessing any local resources at all you’ll have to enable lockdown mode. I agree, Forced tunnel isnt really a true forced tunnel, or feature comparable with other VPN solutions that manipulate the routing table to block access to local subnets. Using lockdown mode isnt really an option for us as we only want to use the vpn when away from the office, not when connected to the network, and lockdown will block all access unless the vpn is connected from what i can tell from its description here. 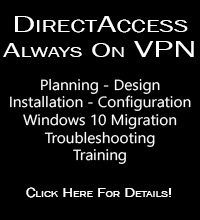 https://docs.microsoft.com/en-gb/windows/security/identity-protection/vpn/vpn-security-features#lockdown-vpn it seems more suited to devices that will only ever access corporate resources via a VPN, not ones that occasionally use the VPN when away from the main network. Any ideas how to get a forced tunnel, that disallows access to local network subnets when the user tunnel VPN is connected? In this case, the documentation is confusing between ForceTunnel mode and Split Tunnel mode. Only Lockdown mode allows you to control all traffic through the VPN connection. FYI, there is an error in the example. Should be NativeProfile instead of NativePolicy. Is there a way to direct specific traffic for a site to be tunneled and routed through the VPN. Without adding the IP ranges. Example I want all traffic to *.microsoft.com go through the VPN. You can route specific namespaces over the Always On VPN tunnel by configuring the DomainNameInformation element in your ProfileXML. However, you will also need to specify a proxy server for this to work by using the WebProxyServers element and providing the FQDN and port of your internal proxy server to be used for the namespace. Is there a way to set the metric on the static route? the issue I’m facing is that I disable the class base routing and added a specific route but the metric comes lower than the Local Interface and VPN connection causing the intended traffic to go through the VPN when I do a traceroute. I’m using IP filters on the NPS server so when the user connects over vpn they are allow only the specified assigned resources, causing outlook to not connect which I will like to route the traffic on the split tunneling. I tested it by manually setting the metric on the interface lower than the static routes and everything works ok.
thank you again and great documentation. I’m not aware of any way to set the route metric using ProfileXML. The routes you configure would, by design, have a lower metric as the expectation is that you’re intending to route that traffic over the VPN tunnel. If you want to exempt some traffic from going over the VPN tunnel, I’d suggest trying to use the DomainNameInformation element to include/exclude traffic. 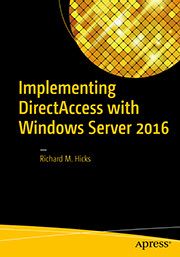 Details here: https://directaccess.richardhicks.com/2018/04/23/always-on-vpn-and-the-name-resolution-policy-table-nrpt/. The client is able to reach out to the VPN server internal IP address (172.0.1.6) but not able to reach to DC nor to NPS. I know it is a routing issue but i cannot figure out where exactly i need to do the routing? is it on the VPN server or on the VPN clients using the XML profile? You’ll need to make sure your server can reach any remote internal subnets and configure any static routes on the server if necessary. Finally you can follow the guidance in this post to configure your ProfileXML to ensure the Always On VPN client has the necessary routes as well. I am very inquisitive to test more secure ForceTunnel mode with this Always On VPN. Specially performance with IKEv2, is there any improvements versus DA/IPHTTPS or DA/Teredo. First of all, AOVPN SplitTunnel mode is working great. I can reach intra servers and surf to the public internet (straight from client´s ISP connection, not via VPN). When I change MakeProfile.ps1 configuration SplitTunnel -> ForceTunnel and deploy a new VPN profile, I still can access intra servers but not anymore to public internet. Also there is a yellow triangle icon on my connection saying some problem with connectivity test. Is there some additional steps in ForceTunnel mode to make clients ALL public internet traffic flow out through your VPN/Office and back to internet? Some proxy needed or is this scenario totally handled by proper routing configuration? VPN performance using IKEv2 or SSTP will be much better than DirectAccess, no question about that. Interestingly enough, SSTP always seems to provide more throughput than IKEv2. Would be interesting to know if you have the same experience. Regarding force tunneling, you can configure an on-premises proxy but it isn’t strictly required. You just have to make sure that your VPN server and internal network routing/firewall configuration allows VPN clients to access the Internet. Glad to share experiment results! But I still have problems to figure out how to make proper routing. where 10.1.1.3 is VPN server´s internal network without gateway (because external network have the VPN servers default gateway). After this addon my VPN client is able to query google DNS 8.8.8.8. Just for example. But how to route all public networks via 10.1.1.3? I cannot add 0.0.0.0/0 route to 10.1.1.3 because then we loose VPN servers external network connectivity and clients on field cannot access at all. There is plenty of internet services with multiple/changing IP addresses and maintaining manually routes would be extremely painful. Is there some other way/place to do this routing? Thanks in advance! I added the lines and rebuilt the Vpn profile, but I don’t see any new routes appearing when i connected. I have tried to remove and readd to the exported xml, with no change. Is it maybe because similar subnets are already permanently defined with different gateway (for when I am on a local subnet)? No, any routes defined in your ProfileXML should appear in the routing table. If there are duplicate routes they’ll likely have different metrics assigned to them. Also by removing the static routes, still no route addition. Force Tunnel mode works fine though, and also if I add a route manually. If the routes aren’t showing up in the client’s routing table it’s a good bet your ProfileXML isn’t configured correctly. Compare your configuration with some of the samples I’ve posted in my GitHub repository here: https://github.com/richardhicks/aovpn. It looks fine to me. It is the one exported with your lines added, but I remove the Native profile and Vpnprofile double tags, like in your example. I updated the Vpn server, tried in another machine 1809, with same result: only the route of the Dhcp lease relayed from the Vpn server appear, as though I hadn’t ever written the new lines from your site. Completely ignored. Did you also set DisableClassBasedDefaultRoute to “true” in your ProfileXML? Positive. And also tried the same in a Win10-1803. Vpn works, no automatic extra routes. Sorry…the formatting gets lost here sometimes. Can you send me your entire ProfileXML via email? 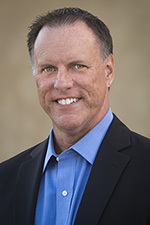 Hi Richard. Great article. Helped a lot for split tunneling, but I still have some issues. I have all routes in routing table and even use split tunnel, so I have internet while connected to VPN, but when I try to access local network I reach only VPN server. When can be wrong? Could be any number of things, but most commonly it can be routing configuration on the VPN server itself. Another common cause is internal network routing. For example, if you are using a unique IP subnet for your VPN clients, your LAN routing will need to be updated to return this traffic back to the VPN server. Thank. I found the issue. It was routing on local network. After adding routes and disabling the classbasedDefault route we are getting reports of users sometimes getting the routes defined and sometimes not. They still get the VPN client ip, but all the routes defined in the profile just don’t appear. I’ve already got a premier case open for this, but just was hoping you came accros this and had a fix. Below the config of the routes. Unusual for sure. This is the first report I’ve heard. Will be listening closely for others. I think it has to do with previously defined routes, like those distributed with Dhcp option…try reset those. As a point of reference, when using DHCP for VPN client IP addressing no options are provided to the client. The client only receives it’s IP address and subnet mask from the DHCP server and nothing else. It might be possible that some routes persist if moving from the corporate on-premises network to an external network. Of course if someone configured static routes on the client those could be problematic as well. Hi, i have trubleshot with my Always On VPN. 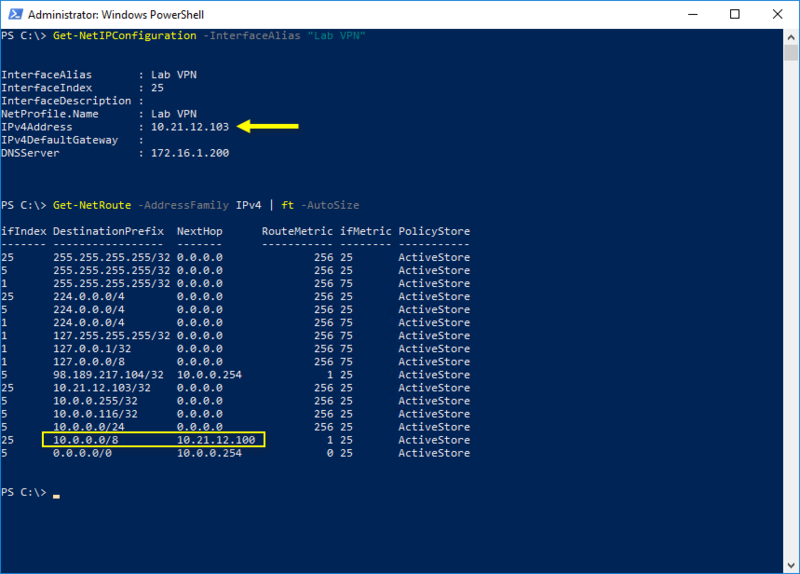 User tunnel (IKEv2) connection from Windows 10 (1803) is triggered, routes applied, i see it`s status, packets are sended to interface – but no packets return back (zero at “Received”). Network and Sharing center shows my VPN-connection as “Identifying…” for a minute or two, then changed to “Public network”. 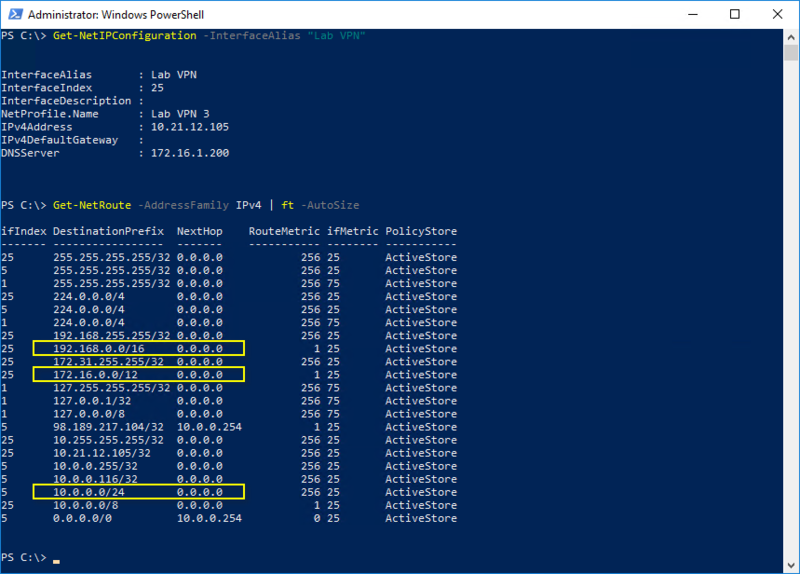 If i wait 3-5 minutes(or if i reconnect manually) – status changed to “Domain Network” and in same time packets start running in both direction – everything is good now, connection worked. When i use SSTP protocol all work fine. IF SSTP is working then it makes sense you have a valid network path. I’d suggest looking closely at IKEv2 communication and make sure that UDP ports 500 and 4500 are open and that NAT is configured correctly. Importantly, if you have more than one VPN server you’ll need to ensure that load balancing is configured correctly to ensure that both UDP 500 and 4500 are always delivered to the same server. Richard thanks for your reply. I have one server vpn: wan interface looks on the Internet, and lan on my local network. Ports 500, 4500 are open. I use Split tunneling in my configuration. I tried the configuration that Microsoft recommends with van interfaces in dmz. But I got the same story. Perhaps this is important, my entire infrastructure is located on a VMware server. If you have two network interfaces, make sure only the external interface is configured with a default gateway and that static routes are configured on the internal interface for any remote internal subnets.